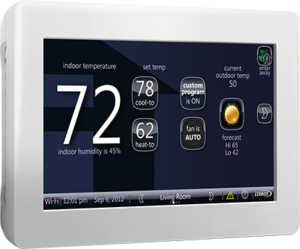 Are you interested in the latest thermostat technology? At AirZone, we are dealers of the most popular and advanced thermostats on the market today. 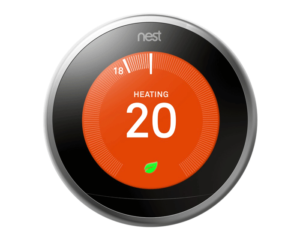 We carry brands such as Nest, Ecobee, Honeywell, and Lennox to bring you the latest and greatest in thermostat products. We offer a full supply and install service for thermostats. With AirZone, you will receive an expert installation and labour warranty alongside the latest technology. Trust the experts at AirZone HVAC Services to install your thermostat and ensure proper operation of your furnace, air conditioner, and other HVAC components to ensure an optimal system! Our smart thermostat installation price is $179 (plus HST) above the retail cost of the product. 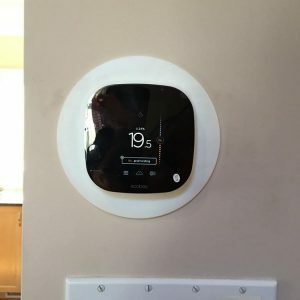 This includes the old thermostat removal, installation of the new thermostat, wifi connection, schedule setup, and 30 minutes of training on how to use the new product. We also provide you with a 1 year labour warranty! 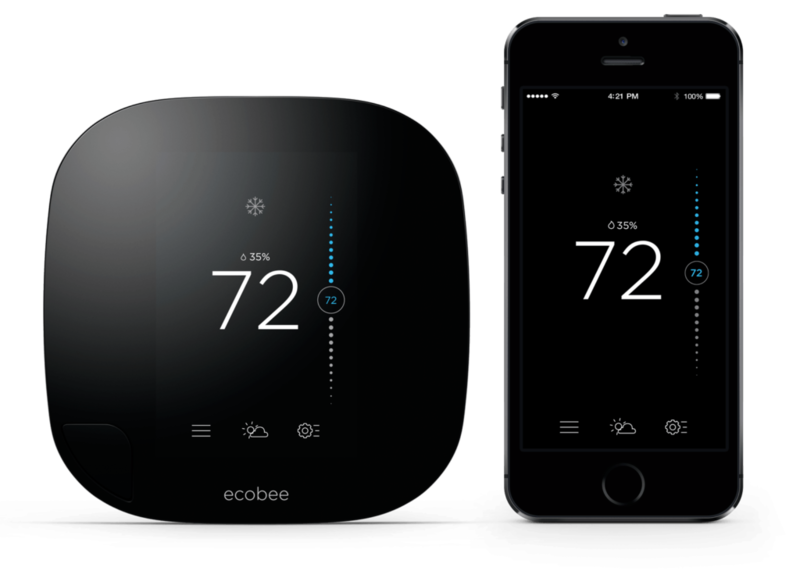 The Ecobee3 thermostat is our most popular choice for customer who are installing a single stage or 2 stage furnace and/or air conditioner. We love this stat because of its extra sensor that can be put in a different room in the house. There is also the option to add more than one remote sensors for a great home comfort experience. Enjoy greater temperature control, mobile wifi access, and compatibility with Amazon’s Echo with the Ecobee3 – A Canadian company! The Lennox iComfort Thermostat offers something that both Nest and Ecobee currently do not offer. This is what is called a “communicating” thermostat. When something goes wrong with your heating and cooling system, we are able to troubleshoot your equipment remotely from our office. This ensures that your system is always running at its best, and avoids costly service calls. This is our go to thermostat for any Lennox variable speed equipment because it gets the most out of your system. After all, it was designed to work specifically with your Lennox equipment! There is a lot of debate which wifi thermostat is better between the Nest and the Ecobee3. Each has their advantages. Nest has really improved lately with smarter away technology utilizing multiple google now accounts for more accurate readings. This means that the thermostat does not only monitor motion, but also uses your android smartphone to detect when you have left the house. When in away mode, the Nest offers energy savings by increasing the temperature in the summer and decreasing it in the winter. It also detects when you are on your way home to bring the temperature back to your comfort level.